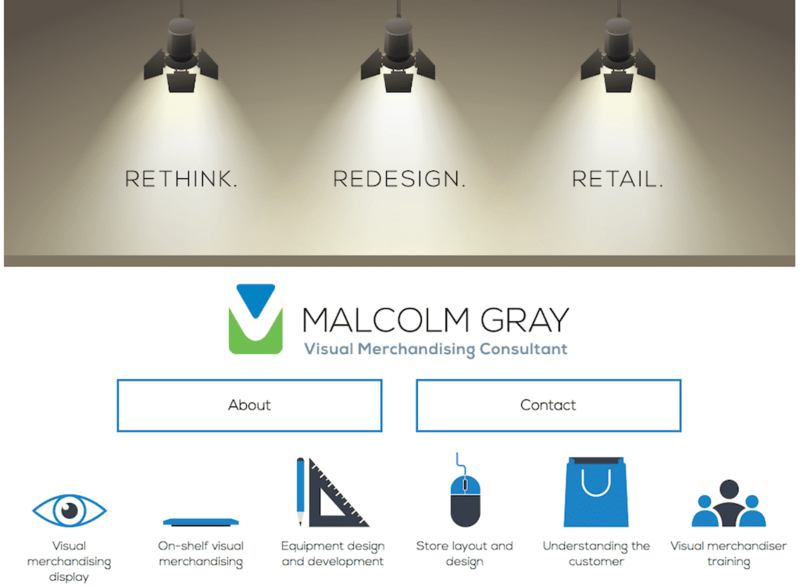 Malcolm Gray, a freelance Visual Merchandising consultant, approached me to build a website based on his existing branding materials. The project brief was to set up a lightweight website that directed people to contact Malcolm, and that fitted in with the overall company brand. The site was built to respond appropriately to different size screens, making sure mobile visitors would still have a pleasant experience of the site despite less screen real-estate. One slightly unusual feature of the site is that it uses a custom web font. This was necessary to keep the font consistent across all of Malcolm’s branding and promotional material, and further enhances the unified image of the company. Get in touch today to see what I can do to help you build your web presence too.